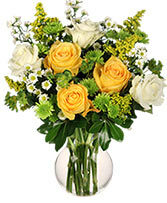 Celebrate the beauty of a floral arrangement that appears as if it was picked straight from fields. 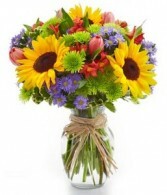 Florist arranged with flowers including sunflowers, pink tulips, green poms and more! 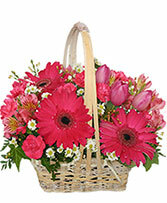 Delivered with the arrangement is a clear vase wrapped in raffia. 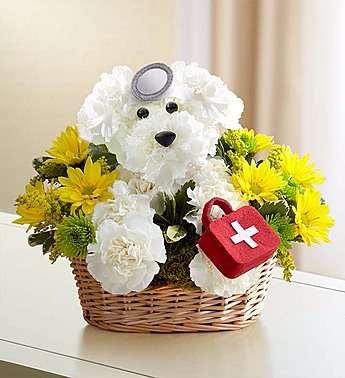 Send flowers to celebrate today's special occasion.